For over 1400 years the Holy Qur’an has been preserved immaculately, but how exactly did this happen? 1. Hazrat Mirza Ghulam Ahmadas, Izala-e-Auham, Ruhani Khaza’in, Vol. 3, 381-382. Among the ancient books available today, scholars agree that the New Testament is the well-attested book. What that means is that there are more manuscripts of the New Testament than any other book from antiquity. There are thousands of manuscripts – partial or full – both in the original Greek language in which they were written, and in the form of translations in Latin, Ethiopic, Slavic and Armenian. As a leading New Testament scholar, Dr Bruce Metzger, proudly puts it, the book which is the runner-up to the New Testament in terms of manuscript testimony is Homer’s Iliad, with fewer than 650 Greek manuscripts1. However, when it comes to the preservation of ancient texts, scholars have pointed out differences between the numerous manuscripts available which makes it difficult to know without a shadow of doubt what the original words were. Comparatively, the Holy Qur’an is the only ancient book which has been immaculately preserved for 1400 years. This fact can be ascertained from evidence and by taking a closer look at both how the Qur’an was originally revealed and how it has been preserved since the time of the Prophet Muhammadsa. 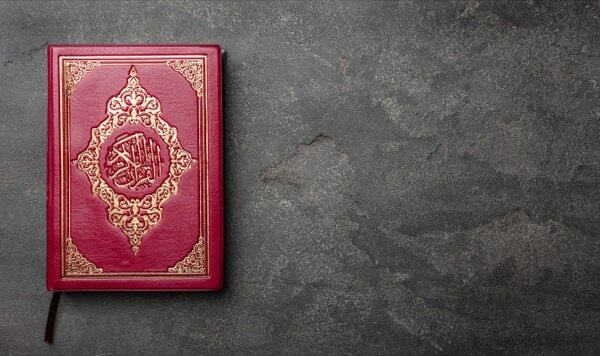 Critics of Islam have made many objections to the claim by Muslims that the Qur’an is perfectly preserved. 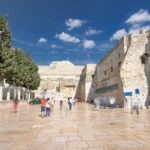 This debate has become even more heated nowadays, because the preservation of other holy texts, such as the Bible, have also been brought under close scrutiny for the last two to three hundred years. It is alleged, for instance, that there are different ‘versions’ of the Qur’an and doubts are expressed regarding the motives of Hazrat Uthmanra (the third caliph after the Holy Prophet Muhammadsa) when he burned certain manuscripts of the Qur’an in favour of the official one. In light of this, it is important to first understand what methods were used to preserve the Qur’an. An image of the Birmingham Qur’an manuscript. These pages, discovered in 2015, were carbon-dated to approximately 568CE to 645CE, which leaves open the possibility that this manuscript is from the time of the Holy Prophet(sa). As they are identical with present-day copies of the Qur’an, this is further evidence that the Qur’an has been preserved in its original words. 1. God ensured that such people will exist who are able to memorise the Qur’an from beginning to end. 2. The language of the Qur’an is very simple and attractive, enabling anyone to memorise it – fully or in parts – without difficulty. 3. 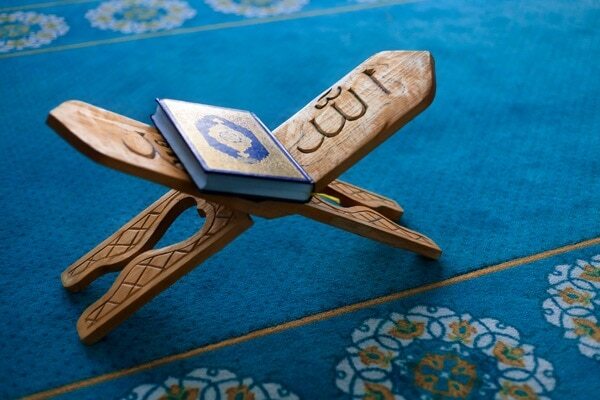 The recitation of the Qur’an was made obligatory in salat – the five daily prayers – helping to preserve it. 4. God created love in the hearts of the people so that they would recite it regularly. 5. God ensured that the Holy Qur’an would spread throughout the world right after its revelation, making it impossible for any group or government to make changes or amendments to the text. 6. In the Islamic world, the study of a variety of academic fields has been traditionally based on the Qur’an, causing the Qur’an to be quoted in all kinds of books related to different fields of study. Hazrat Mirza Bashiruddin Mahmud Ahmadra says that if the quoted verses of the Qur’an from all these books are collected and compiled, that the whole of the Qur’an could be compiled from just those references. 7. The academic form of Arabic never changed and can be understood even today with ease. This helped preserve the original language of the Qur’an, in turn supporting the preservation of the Qur’an itself. 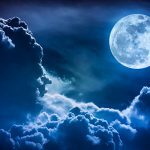 Adding to the 8th point, Hazrat Mirza Bashiruddin Mahmud Ahmadra notes that in this day and age, when irreligiousness has reached its climax, God has sent the Promised Messiahas, who has purified the Qur’an from all incorrect interpretations and commentaries and presented it to the world in its purest form. Hence, in this manner, God has ensured that the Qur’an is preserved both in its script and in its true meanings and message. 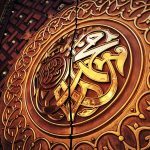 This fact is corroborated by history as it is known that the Qur’an was revealed over a period of twenty-three years, which ensured safe delivery of the message from God to the Holy Prophetsa and from him to his companionsra. This prevented it from being forgotten as there was plenty of time to memorise and revise the Qur’an in small, manageable portions. Hazrat Mirza Bashir Ahmadra, a son of the Promised Messiahas and scholar of the Ahmadiyya Muslim Community, has calculated that the Holy Prophetsa spent 7970 days as a Prophet, while the number of verses in the Qur’an are 6236 and the number of words in the Qur’an are 77,934. This means that on average, every verse of the Qur’an has 12 words, while the average daily revelation of the Qur’an is only 9 words6. In other words, the Qur’an was revealed so slowly that on average, even a full verse was not revealed on a daily basis. This means that the Holy Prophetsa had several scribes available to him. Quoting from Fathul Bari, Hazrat Mirza Bashiruddin Mahmud Ahmadra gives a list of 15 scribes11, the most important of whom was Hazrat Zaidra bin Thabit. Maulana Ahsanullah Danish, a scholar of the Ahmadiyya Muslim Jama‘at, who consulted various historical books that contain the names of the scribes, concludes that there were 28 companionsra who wrote down the Qur’an during the time of the Holy Prophetsa, and he has also noted that some researchers have placed the number as high as 40 companionsra.12 What all of this research shows is that those of his companionsra who were literate and could write were eager to preserve the verses of the Holy Qur’an by noting them down. In addition, this was their practice from the very beginning, and it was common for the companionsra to have some written portions of the Qur’an with them. Based on these two narrations, it can be determined that from the tribe of Hazrat Anasra alone there were four people from the Ansar who had written down the Qur’an in its entirety during the lifetime of the Holy Prophetsa. Contrary to the way critics wish to portray this narration, it actually shows the extent to which the companionsra strove to preserve the purity of the Qur’anic text. Prior to the time of the narration, the Qur’an had already been written down in its entirety by several companionsra. It had been memorised in its entirety by several companionsra, and it was being recited, memorised, studied, discussed and quoted frequently. On top of all this, the companionsra still wished to go a step further and have the Qur’an put together into a single volume. What remarkable, sincere service to the Qur’an! Is it still possible to assume that the Qur’an was corrupted in light of such evidence to the contrary? Furthermore, the reason why this single-volume manuscript could not be prepared during the time of the Holy Prophetsa is because the Qur’an was being revealed to him constantly and it was not possible to know if the revelation of the Qur’an had ended. However, when the Holy Prophetsa had passed away, it was understood that the Qur’anic revelation has come to an end and the Qur’an could now be collected into a single book form. 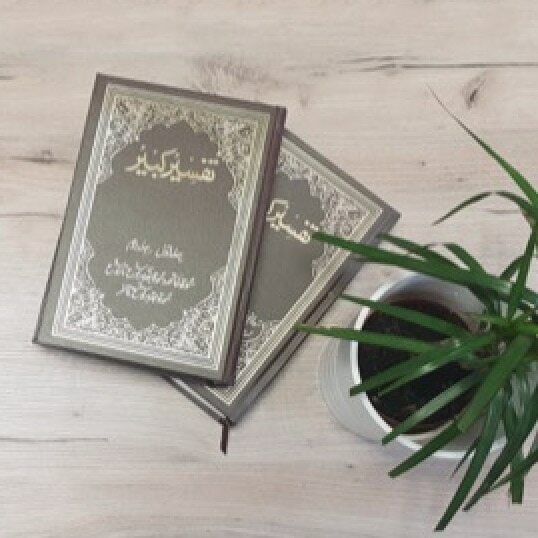 Based on these numerous narrations, Hazrat Mirza Bashiruddin Mahmud Ahmadra writes that for every single verse of the Qur’an, both the memory of that verse and a written format of that verse were asked for before it was included in the single volume compiled by Hazrat Abu Bakrra. In addition, for most of the Qur’anic verses, there were dozens or even hundreds of witnesses who said that they had learnt the verse from the Holy Prophetsa directly. Many verses even had thousands of witnesses.22 The final volume that was produced out of this monumental exercise is called Mushaf-e-Umm (Master Copy) and no companionsra laid any objection to the accuracy of this manuscript of the Qur’an. During the time of Hazrat Uthmanra, the third Khalifah (Caliph) of the Holy Prophet Muhammadsa, copies of this Mushaf-e-Umm were made and distributed to different Muslim lands as official, standardised copies of the Qur’an. This was because he started receiving complaints that different tribes enunciated or pronounced words of the Qur’an in distinctive ways and so Hazrat Uthmanra forbade all variations of enunciation of even vowel points and sent a standard copy to be recited in the standard way. This standard form of recitation or pronunciation of words was based on the dialect of the Holy Prophetsa, or the dialect of the Quraish of Makkah. In Arabic, this is called Qira’ah and the closest analogy for English speakers to understand the difference between Qira’at (the plural of Qira’ah) is to think of the difference between American English and British English in terms of pronunciation. 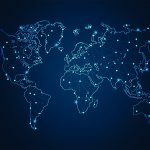 Since Arabic is a much more diverse language as compared to English, this difference in dialects becomes much more profound and distinctive among Arabic speakers. Hence, Hazrat Uthmanra responded to this challenge of differences in pronunciation by standardising the written copy of the Qur’an along with its mode of recitation. As an added precaution, he ordered the burning of all other written manuscripts of the Qur’an – whether they were complete, or only had portions of the Qur’an written on them. 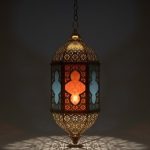 Since a colossal effort had already been made to prepare the Mushaf-e-Umm, there was no need to keep any other manuscripts of any other shape or form. One fear of allowing such manuscripts to exist was that some companionsra took personal notes on their manuscripts and it could have led to confusion for later peoples as they may have wondered which part is the Qur’an and which part is a footnote or a side note. The Promised Messiahas is explaining here that no matter what the case, the status of Hazrat Abdullah bin Mas‘udra is not so high that we should consider him immune from errors in judgement. His words and statements do not have the same status as the words of the Holy Prophetsa regarding whom it is clearly stated in the Qur’an that what he said for religious guidance was pure revelation from God. At the same time, there is absolutely no doubt that Abdullah bin Mas‘udra was a great teacher of the Holy Qur’an and one of the most revered companions and among the earliest converts to Islam, and it behoves every Muslim to respect him. A simple error in judgment about three of the chapters of the Holy Qur’an does not diminish his high status in the eyes of any Muslim. Our prayer for him has always been and continues to be: Radhi-Allahu ‘anho (may Allah be pleased with him!). Second, the narrations themselves clearly refute the error of Hazrat Abdullah bin Mas‘udra as Hazrat Abdullah bin Ubayyra – another revered teacher of the Qur’an – is reported to have checked with the Holy Prophetsa about the Mu‘awwidhatain and he told him that they were part of the Qur’an. Similar to this narration, there are many other well-authenticated Ahadith (traditions) that quote the Holy Prophetsa as clearly stating that Surah Al-Fatihah and the Mu‘awwidhatain are part of the Holy Qur’an and not separate from it. An interesting point is that other narrations state that Ibn Mas‘udra did not include the Mu‘awwidhatain in his manuscript, or that they were missing from his manuscript, but they do not record him saying that they are not a part of the book of Allah. This is a subtle difference which means that there is some confusion as to the real reason why Hazrat Abdullah bin Mas‘udra did not include these two chapters in his manuscript. It may have been the opinion of Hazrat Abdullah bin Mas‘udra or it may have been the opinion of the person narrating this about him. In either case, these are just their opinions, which are clearly refuted in these narrations as well as many other narrations from authentic sources. As Maulana Ahsanullah Danish puts it, on the one hand, we have the opinion of the companionsra of the Holy Prophetsa supported by historical evidence, the united opinion of the entire ummah, the united opinion of the huffaz (those who have memorised the Qur’an by heart) of the Qur’an, and on the other hand, there is the opinion of the person narrating this from Hazrat Abdullah bin Mas‘udra or perhaps the opinion of Hazrat Abdullah bin Mas‘udra himself. What does our rational mind tell us? Accept the doubt of one or two people or the clear-cut statements of the Holy Prophetsa that plainly state that both Surah Al-Fatihah and the Mu‘awwidhatain are part of the revealed Holy Qur’an. The evidence for the excellent preservation of the text of the Holy Qur’an is quite extensive. A recent discovery of a manuscript of the Qur’an gives further evidence for this. 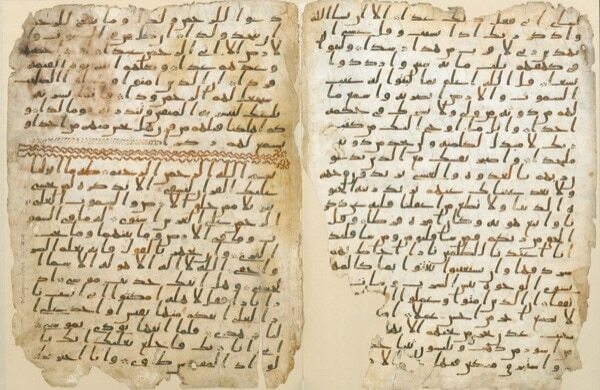 It was found in the University of Birmingham and scholars have said that it is perhaps the oldest manuscript of the Qur’an in the world. It dates from the period of 568 CE to 645 CE which makes it a possible manuscript from the time of the Holy Prophetsa himself.29 It contains parts of chapters 18 to 20 of the Holy Qur’an and a comparison with a present-day copy of the Qur’an reveals that they are identical, without any differences. Despite all of this evidence, if some critics object to the idea that the Holy Qur’an has been preserved perfectly, it can only be due to bias. An honest researcher in this field has no option but to affirm that the prediction of the Qur’an regarding its perfect preservation has indeed been fulfilled. About the Author: Imam Farhan Iqbal is a missionary of the Ahmadiyya Muslim Community. He received his degree in Islamic Theology and Comparative Religions in July 2010 from Jamia Ahmadiyya Canada (The Ahmadiyya Muslim Community’s training seminary for missionaries.). He has served as an Imam for the Baitul Islam Mosque in Vaughan, Canada, for 5 years. He is currently serving as Imam of the Baitun Naseer Mosque, Ottawa, Canada. Imam Farhan has represented the Community in various interfaith events, radio programs discussing various matters of faith, and is co-host of the podcast The Conviction Project. 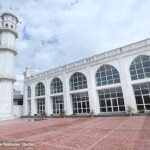 He has also hosted several live and recorded programs on MTA (Muslim Television Ahmadiyya). He has co-authored 2 books, namely, With Love to Muhammadsa, the Seal of the Prophets and Understanding Islam: Dispelling Myths about Jihad, Oppression and Violence in Islam. 1. Lee Strobel, The Case for Christ (Michigan: Zondervan, 1998), 78. 2. Hazrat Mirza Bashir-Ud-Din Mahmud Ahmadra, At-Tafsir Al-Kabir, Volume 4, 17. 3. For a detailed discussion of all the points for the preservation of the Qur’an, see pages 17-20 of At-Tafsir Al-Kabir (Volume 4). 4. Ahsanullah Danish, Az-Zikrul Mahfuz (Qadian: Fazle Umar Printing Press, 2007), 12. 5. Hazrat Mirza Ghulam Ahmadas, Haqiqatul Wahi, Ruhani Khaza’in, Volume 22, 357. 6. Musnad Ahmad bin Hanbal, Musnad Ashratul Mubashareen bil-jannati, Musnad Uthman bin Affan. 7. Hazrat Mirza Bashir-Ud-Din Mahmud Ahmadra, Introduction to the Study of the Holy Qur’an (Surrey: Islam International Publications Ltd., 1996), 356. 8. Ahsanullah Danish, Az-Zikrul Mahfuz (Qadian: Fazle Umar Printing Press, 2007), 23. 9. Sahih Bukhari, Kitab Fadha’il-ul-Qur’an, Babul Qurra min Ashabin-Nabisa. 11. Ahsanullah Danish, Az-Zikrul Mahfuz (Qadian: Fazle Umar Printing Press, 2007), 77. 12. Hazrat Mirza Bashir-Ud-Din Mahmud Ahmadra, Introduction to the Study of the Holy Qur’an (Surrey: Islam International Publications Ltd., 1996), 362. 13. Sahih Bukhari, Kitab Fadha’il-ul-Qur’an, Bab Jam‘ul Qur’an. 14. Hazrat Mirza Bashir-Ud-Din Mahmud Ahmadra, Fadha’ilul Qur’an, 25-26. 15. Al-Itqan fi ulumil Qur’an [An-Nau‘ Ath-thamin ‘Ashar, fi jam‘ihi wa tartibihi] (Lebanon: Resalah Publishers, 2008), 131. 17. Hazrat Mirza Bashir-Ud-Din Mahmud Ahmadra, At-Tafsir Al-Kabir, Volume 10, 84-85. 18. Al-Masnad lil-Imam Ahmad bin Hanbal, Masnadul Ansar, Hadith Zir bin Hubaish ‘an Ubayy bin Ka’b, Hadith no. 21087, Volume 15 (Cairo: Darul Hadith, 1995), 441. 19. Translation of the original by author. 20. Sahih Bukhari, Kitabut Tafsir, Book 65, Hadith 4977, retrieved from http://sunnah.com/urn/46560. 21. The Holy Qur’an, 53:5. 22. Hazrat Mirza Ghulam Ahmadas, Ruhani Khaza’in, Volume 3, 421-422. 23. Ahsanullah Danish, Az-Zikrul Mahfuz (Qadian: Fazle Umar Printing Press, 2007), 276. 24. Sean Coughlan, “Birmingham’s ancient Koran history revealed,” BBC, accessed April 5, 2017, http://www.bbc.com/news/business-35151643.